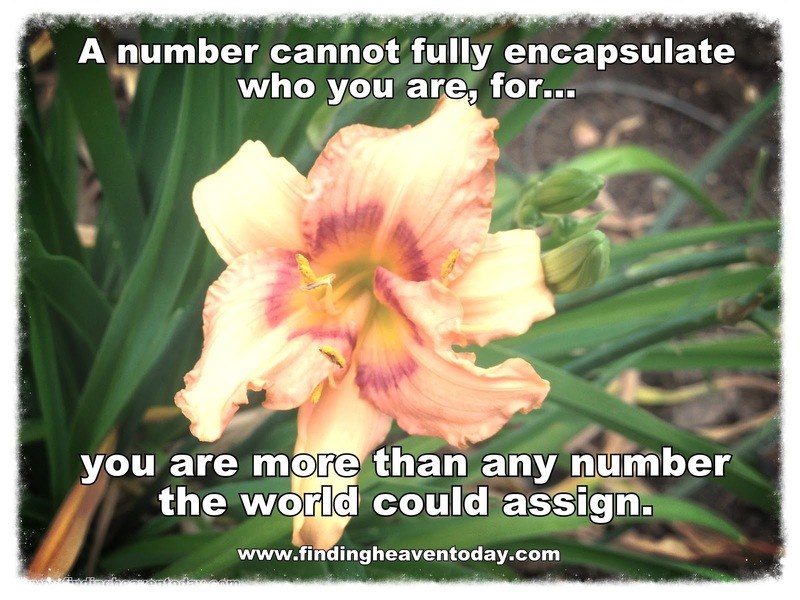 Finding Heaven: what number has your number? What's the number that always gets you? The one that gets you down? The one that can ruin your whole day? Do you have a number like that? Is it the number that comes up on the scale? Or maybe it's the number of views your blog got today? Maybe it's how many people responded to your request? Or the number on your paycheck? For you are greater than any number the world could assign. Linking with Sandra on Saturday and Deidra on Sunday. Last week, sweet Kendal wrote about how God's Words ended up talking louder than ED (eating disorder). Did you see that she has written a book about it? It's called Full and she is giving away a signed copy to one reader (also, she currently has her book on sale from the publisher for 20% off). Please enter to win using the Rafflecopter widget found here. Beautiful and much needed reminder. The numbers I like best are the ones He has forgotten and thrown into the sea (all my sin). Oh how I needed to read this. This past weekend, I was a little baffled. I have been trying to lose weight and have lost 19 lbs so far, coming to this weekend. Well, I happened to go to the doctors and, when they checked my weight, noticed I lost more weight. So this weekend, I was on that scale three times checking to see if the doctor's scale was right. Not until yesterday morning did it show me what the doctor's scale showed me, I lost two more lbs. Though, I am happy I am getting back down to a healthy weight, I need to not worry about it because the number on the scale does not define who I am. Who I am in Christ, does!